A new channel has started in DVB-S2 Conax: Dove TV (Nigeria) (Nigeria) on 4153.00MHz, pol.R SR:30000 FEC:3/4 SID:2009 PID:902[MPEG-4]/903 English. New PID for Dove TV (Nigeria): PID:513[MPEG-4] /514 English,515 English,516 English,517 English SID:1 (3684.00MHz, pol.L SR:3454 FEC:3/5 - Clear). New SID for Dove TV (Nigeria) on 3684.00MHz, pol.L FEC:3/5 SR:3454: SID:2 ( PID:513[MPEG-4] /4112 English - Clear). Dove TV (Nigeria) is now encrypted in Conax (3761.00MHz, pol.R SR:30000 FEC:3/4 SID:2009 PID:902[MPEG-4]/903 English). Dove TV (Nigeria) (Nigeria) is now transmitted Free To Air (3761.00MHz, pol.R SR:30000 FEC:3/4 SID:2009 PID:902[MPEG-4]/903 English). Dove TV (Nigeria) is encrypted again after being temporarily unencrypted on 3761.00MHz, pol.R SR:30000 FEC:3/4 SID:2009 PID:902[MPEG-4]/903 English (Conax). New SID for Dove TV (Nigeria) on 3695.00MHz, pol.L FEC:3/5 SR:1683: SID:1 ( PID:51/4195,4197 English - Clear). New SID for Dove TV (Nigeria) on 3695.00MHz, pol.L FEC:3/5 SR:1683: SID:2 ( PID:513[MPEG-4]/4112 English - Clear). 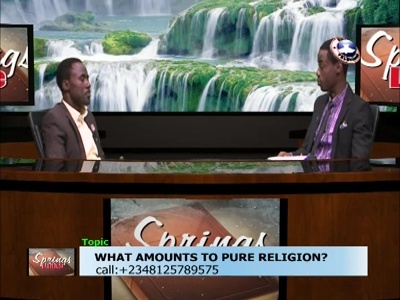 New PID for Dove TV (Nigeria): PID:513[MPEG-4]/4112 English SID:2 (3695.00MHz, pol.L SR:1683 FEC:3/5 - Clear).